Kathleen Burkett speaking with Connect Transit COO Isaac Thorne (foreground) and Sandy Braden speaking with Connect Transit Planner Kyle Bohm (background) following a public hearing announcing a fee restructure. Sandy Braden of Bloomington said she's glad the transit system is planning on keeping free passes for senior citizens. "I'm happy with this. I'm glad that they are listening to their customers," she said. 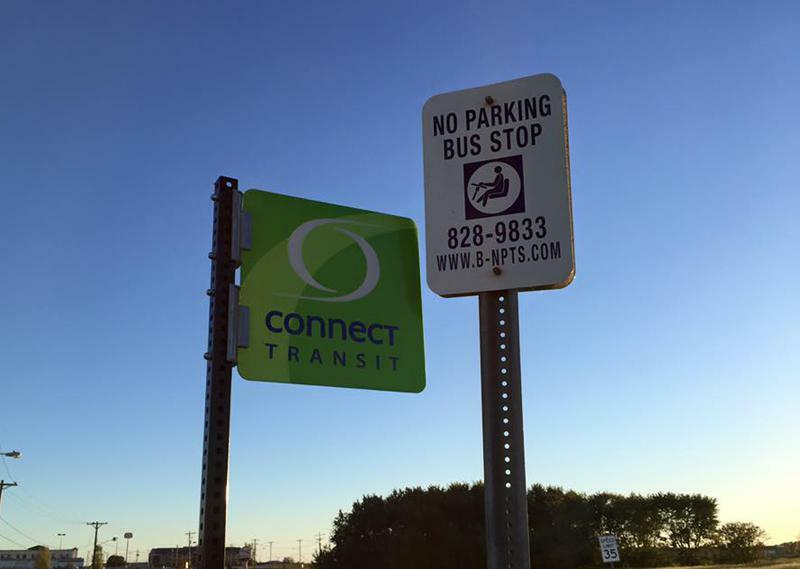 Connect Transit plans to get rid of monthly passes for its fixed routes and Connect Mobility that expire at the end of each month. The transit system is proposing one day, seven day, and 30 day passes for fixed routes that can start and end at any point during the month. 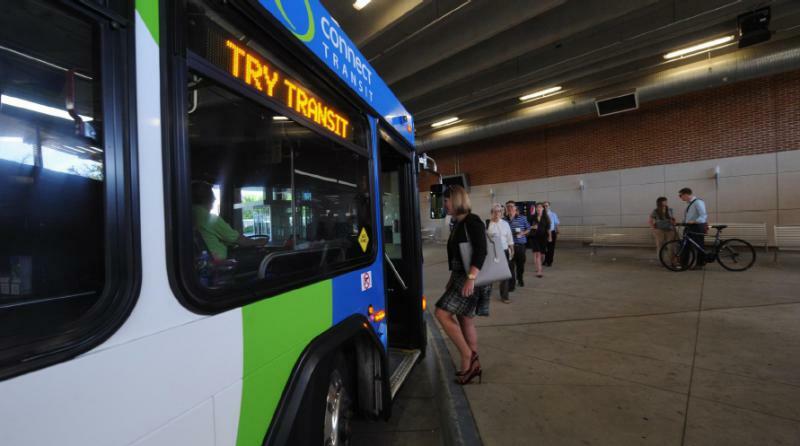 The 30 day passes cost $7 more than the current monthly passes, but Connect Transit General Manager Andrew Johnson said people will get more use out of them. "There's added value, because now we will be a seven day a week operation, so you can use it Sunday through Saturday," he said. Kathleen Burkett said she's not unhappy with the plan, but she's worried about how the pass price increase will affect low-income individuals. "I'm concerned about the citizens that can't afford it," she said. Connect Mobility monthly passes will be replaced with 10 ride and 20 ride cards at the same rate as individual Connect Mobility fares. 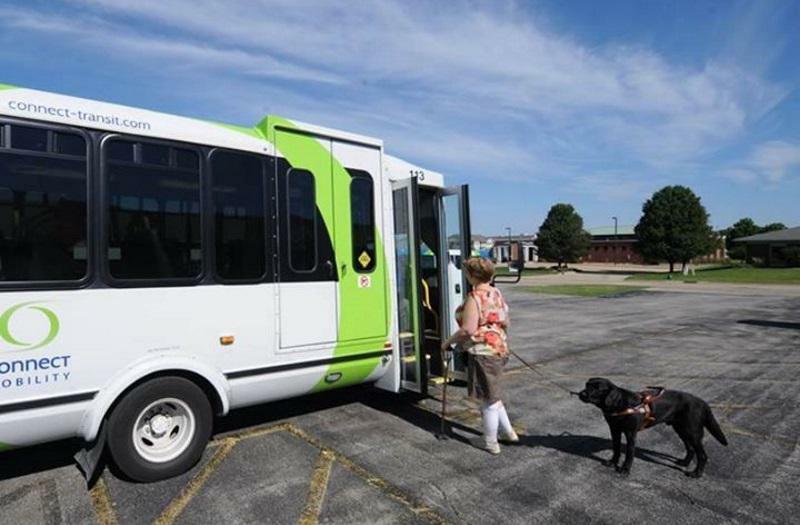 The Connect Transit Board of Trustees will vote on the proposed changes next month.